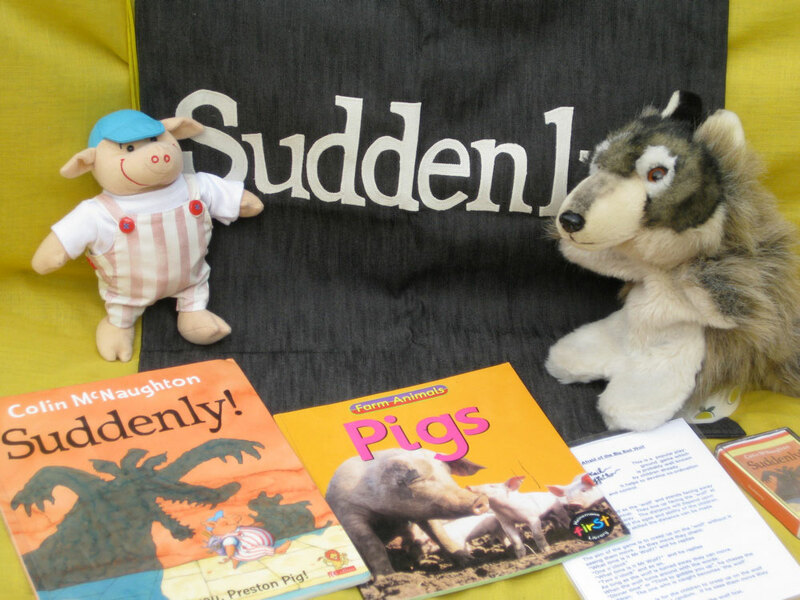 When Preston Pig walks home from school one day, suddenly…something nearly happens to him. It gives him the strangest feeling that he is being followed… and he’s right! Who is following Preston Pig? * Made in 2003 by Myatt Garden parents, New cloth sack May 2011 made by Lisa Bennett.